Pope Warns of Coming Catastrophic Event and What’s Really Going Down at The Paris Summit—Dirty Secrets Exposed! At this very moment 190 world leaders including everyone from President Obama to Prince Charles, have gathered together at the 21st Conference of the Parties (COP21, the Paris Summit on Climate Change). It is at this conference that our leadings are discussing “the fate of humanity”—using the lie of global warming as a springboard to accomplish their agenda. In the video below I delve through President Obamas and Prince Charles speeches given at the Summit and reveal the truth behind their tyrannical words. Additionally, I cover the Popes agenda and how he has issued a catastrophic warning if something isn’t done to stop climate change. I use the Vatican’s Encyclical Letter issued just this past June, and quite frankly some of the things proclaimed are disturbing. “The urgent challenge to protect our common home includes a concern to bring the whole human family together to seek a sustainable and integral development, for we know that things can change. The Creator does not abandon us; he never forsakes his loving plan or repents of having created us. Humanity still has the ability to work together in building our common home. Here I want to recognize, encourage and thank all those striving in countless ways to guarantee the protection of the home which we share. Particular appreciation is owed to those who tirelessly seek to resolve the tragic effects of environmental degradation on the lives of the world’s poorest. Young people demand change. They wonder how anyone can claim to be building a better future without thinking of the environmental crisis and the sufferings of the excluded. “Ecological education can take place in a variety of settings: at school, in families, in the media, in catechesis and elsewhere. These are the staggering goals paraded on the 21st Conference of the Parties (COP21, the Paris Summit on Climate Change) website that is now taking place through December 11th. Their aim is to have all 190 parties in attendance agree on some sort of universal Agenda 21 style resolution to stop global warming, which we all know is a lie. They plan on adopting it in 2015 and having it fully implemented by 2020. PreviousWhat They Plan To Do To Americans!!! And Why It’s Crucial You Know About It…. NextBreaking! Anonymous Leaks UN Globalists Personal Data Of Those Attending Paris Summit! What Goes Around Comes Around! Hello?! Why Is No One Paying Attention To This?! Planetary Collapse Threatens Our Survival?! Your puffy around your left eye. Have it checked out I appreciate all you do please stay well. This Abomination pope Francis is a muslim brotherhood member and sympathizer, he likes the evil / satanic / demonic Chrislam!! The pope is Anti-Israel-Yisrael / Anti-Zionism / Very Antiseitism / Anti-Capitalism / Anti-United States of America Everything / Anti-Christian and Jewish people!! The Vatican is NOT holy PERIOD!! Ye CANNOT worship a man!! Ye must worship Jesus ( Yeshua ) Christ only PERIOD!! Jesus ( Yeshua ) Christ is KING of kings, LORD of lords, HE is the ALPHA and OMEGA, HE is the BEGINNING and the END!! Hallelujah and Maranatha!! Who is the liar? It is whoever denies that Jesus is the Christ. Such a person is the antichrist–denying the Father and the Son. Last year (2014) the pope stood before the Church of Rome’s Pontifical Academy of Sciences and declared that the Creator God the Almighty Jehovah used evolution to create all living organisms on Earth. Francis’ reasoning was along the lines that God is not omnipotent and could not create anything that He might like to and so He had to use evolution (a very wasteful process) to develop life on our planet. God also used the big bang apparently to create the Universe because He was not powerful enough to do it by himself. Lisa, please google the permafrost melting in Alaska due to climate change. The methane that is stored in the frozen ground can do tremendous damage to the Earth. Now, is climate change only due to man’s burning of fossil fuels -no, but doing something is better than doing nothing, this is really a go for broke situation. Take care of the cold. Hi Lisa, Great work but you don’t say anything about why this is happeneing. I removed myself from Facebook a long time ago – not easy by the way. Zuckerberg-Chan is part of vast conspiracy that is unstoppable. First of all, everyone who watched this should delete their Facebook account. Will they? Of course not. The key to everything is not that the cnspiracy exists. There are many, many videos proving that (ie. Lisa’s stuff is excellent). The key is to understand what is behind it. First of all, it’s a spiritual war. You should first note that Zuckerberg-Chan, the Clinton’s, Ted Turner, et al are not atheists. And the leading right wingers are not really Christians. For example, the Bible forbids being in association with secret societies. And none of these people are secret Muslims but there is a reason why they protect Islam. Until you know the source of this evil, you will live in perpetual frustration, trying to stop something you cannot possibly stop. To everyone I am a Devout Christian Conservative Patriot and I STAND with the HOLY LAND of Israel-Yisrael and our Judeo-Christian Nation United States of America!! I was saved more than once by Jesus ( Yeshua ) Christ in my life!! Jesus ( Yeshua ) Christ SAVED me from dying in the hospital for my birth defect surgery!! I was born with my Sternum bone fused to my Backbone, doctors had to rebuild my entire ribcage and move my heart and lungs!! I was only five years old when this was done in 1965!! I own many KING JAMES AUTHORIZED VERSION HOLY BIBLES and a TORAH!! The TORAH is the FIRST five BOOKS given by our True GOD the FATHER who art in through HIS HOLY GHOST ( HOLY SPIRIT )!! Jesus ( Yeshua ) Christ said: “I and MY FATHER are ONE.” ( John 10:30 KJV)!! Our True GOD the FATHER who art in HEAVEN CREATED the HEAVENS ( UNIVERSE ) and the EARTH from HEAVEN ABOVE, HE CREATED us in HIS own IMAGE, HE LOVES Ye All Everyone Forever through HIS SON YESHUA-JESUS CHRIST!! Jesus ( Yeshua ) Christ is the WAY the TRUTH and LIFE, no one comes unto the FATHER, but through ME.!! ( Jesus-Yeshua Christ )!! Only Judaism and Christianity is RIGHT as we have the same GOD the FATHER who art in HEAVEN ( Hashem-Yahweh-YHWH-EMMANUEL-JEHOVAH ) and HIS SON ( YESHUA-JESUS CHRIST )!! “SEEK Ye FIRST the KINGDOM of GOD and HIS RIGHTEOUS and all these things Shall be added unto you.”!! LOVE is from our True GOD the FATHER who art in HEAVEN through HIS SON YESHUA-JESUS CHRIST FOREVERMORE!! Our True GOD’S LOVE is STRONGER than satan’s hate and lies PERIOD!! Please Everyone “TRUST in the LORD with all Thine HEART and lean NOT unto thine own understanding, in all thy ways Acknowledge HIM and HE Shall Direct thy Paths.” ( Proverbs 3:5-6 KJV )!! Thus, Please Everyone “TRUST in the LORD JESUS ( YESHUA ) CHRIST with all Thine HEART and SOUL NOW TODAY, HE LOVES Ye All Everyone Forever”!! Happy Shabbat Shalom ( Peaceful Sabbath ) Everyone!! Sad to say, many who claim to read and believe the Bible are diabolically disoriented about the covenants, blessings, and curses, especially Genesis 12:3. Evangelicals consistently misidentify the synagogue of Satan as “Israel,” underscoring one of the most salient errors of Protestantism—that every dyslexic with a censored/abridged “bible” is his own little pope. Under the New Covenant, people are not blessed (or cursed) by their DNA, but by baptism, belief, and behavior. St. Paul further elaborates on the justification of and covenant with Abraham before he was a Jew in Romans chapter 4. The Jewish People are the Apple of our True GOD’S EYES!! Read the first five BOOKS of the HEBREW bible or HOLY BIBLE, given by our True GOD the FATHER who art in HEAVEN too MOSES by HIS HOLY GHOST to write the FIRST Five books known as the LAWS!! The Old Testament and New Testament fit together by the LORD JESUS ( YESHUA ) CHRIST!! Okay Everyone, I am Pro-life / Pro-USA Constitution / Pro-USA Bill of Rights / Pro-Israel-Yisrael / Pro-Zionism / Pro-Capitalism / Pro-Christian and Jewish people / Pro Jesus ( Yeshua ) Christ / Pro-HOLY BIBLE inspired by our True GOD the FATHER who art in HEAVEN and HIS SON YESHUA-JESUS CHRIST!! Because of the HEBREW TEXTS ( SCROLLS ) we have Judaism and Christianity!! Only Judaism and Christianity is RIGHT as we have the same GOD the FATHER who art in HEAVEN ( Hashem-Yahweh-YHWH-EMMANUEL-JEHOVAH-HOSANNA-ELIJAH-EL SHADDAI ) and HIS SON YESHUA-JESUS CHRIST!! There are Jewish People for Jesus ( Yeshua ) Christ, linked on my website!! “TRUST in the LORD with all Thine HEART and lean NOT unto thine own understanding, in all thy ways Acknowledge HIM and HE Shall Direct thy Paths.” ( Proverbs 3:5-6 KJV )!! Thus: “Thus: “TRUST in the LORD JESUS ( YESHUA ) CHRIST with all Thine HEART and SOUL NOW TODAY.”!! Jesus ( Yeshua ) was born in Bethlehem Israel-Yisrael, and HE DIED in Jerusalem Israel-Yisrael, and HE AROSE on the THIRD Day!! Jesus ( Yeshua ) Christ said: “I and MY FATHER are ONE .” ( John 10:30 KJV )!! Jesus ( Yeshua ) Christ is a Rabbi ( teacher ) and HE is KING of kings, LORD of lords, HE is the ALPHA and OMEGA, HE is the FIRST and the LAST, HE is the BEGINNING and the END!! Hallelujah and Maranatha!! Jesus ( Yeshua ) Christ is RISEN and ALIVE at the RIGHT HAND SIDE of our True GOD the FATHER who art in HEAVEN ABOVE!! Happy Hanukkah Chanukah Everyone!! Merry CHRISTmas to all my Brothers and Sisters in Christ Jesus-Yeshua!! Kristi, you say you are pro-Bible, so it would serve you well to read it carefully. I say this, NO MORE ANTISEMITISM PERIOD!! Antisemitism is NAZISM / FASCISM and evil / satanic / demonic!! If you do NOT STAND with the HOLY LAND of Israel-Yisrael, Ye are bringing the CURSE of Genesis 12:3 against yourself!! Again, Am Yisrael Chai, HaShem-Yahweh-YHWH-EMMANUEL-JEHOVAH Yeshua Adonai Forevermore!! Our True GOD’S LOVE is from HEAVEN ABOVE FOREVERMORE through HIS SON Jesus ( Yeshua ) Christ!! I am totally convinced that POPE FRANCIS will finally be known as THE (last) False Prophet and “Prince Charles of Wales” THE (final) Antichrist. If you are interested in Details, do not hesitate to contact me. (I have pretty much of information collected). Thanks a lot for your courage — especially also in this video!!!! The “JUBILEE OF MERCI” of the Roman Catholic Cult will start on December 8, 2015. With the approach of the Extraordinary I would like to focus on several points which I believe require attention to enable the celebration of the Holy Year to be for all believers a true moment of encounter with the mercy of God. It is indeed my wish that the Jubilee be a living experience of the closeness of the Father, whose tenderness is almost tangible, so that the faith of every believer may be strengthened and thus testimony to it be ever more effective. My thought first of all goes to all the faithful who, whether in individual Dioceses or as pilgrims to Rome, will experience the grace of the Jubilee. Actually, this was an e-mail sent to another US American lady, named Lisa, with copy to many people. God’s blessings and wisdom for the new year. Was nice to have a conversation with you. You asked me in respect to Charles and Diana, why actually he married her. Try to explain, sorry fo the length … ? The House of Windsor is the royal house of the United Kingdomand the other Commonwealth realms. It was founded by King George V by royal proclamation on 17 July 1917, when he changed the name of the British Royal Family from the German Saxe-Coburg and Gotha (a branch of the House of Wettin) to the English Windsor, due to the anti-German sentiment in the British Empire during World War I. The most prominent member of the House of Windsor is its head, Queen Elizabeth II. Agnates of the House of Wettin have, at various times, ascended the thrones of Great Britain, Portugal, Bulgaria, Poland-Lithuania,Saxony, and Belgium. Only the British and Belgian lines retain their thrones today. From King George I to Queen Victoria, the British Royal family was variously called House of Hanover, being a junior branch of the House of Brunswick-Lüneburg and thus part of the dynasty of the Guelphs. In the late 19th century, Queen Victoria charged the College of Heralds in England to determine the correct personal surname of her late husband, Prince Albert of Saxe-Coburg and Gotha—and, thus, the proper surname of the royal family upon the accession of her son. After extensive research they concluded that it was Wettin, but this name was never used, either by the Queen or by her son or grandson, King Edward VII and King George V; they were simply called ‘Saxe-Coburg-Gotha’. Prince Charles is from the “Windsor” family. https://en.wikipedia.org/wiki/House_of_Windsor Actually, they had a German family name “Battenberg” (= “Berg” means “mountain”. Batten, I have no idea). This name “Battenberg” was changed to “MOUNTBATTEN” to deceive the British that they are actually more Germans than British. And they are offsprings of the German aristocratic family SAXE-COBURG-GOTHA. ​Prince Charles until today has cousins in Germany. “Ave Caesar, morituri te salutant. = Hail to the Emperor (= cesare, Caiser, Those who willl die ar greeting thee! Kaiser is the German word for “emperor”. Like the Bulgarian, Serbian andRussian Czar it is directly derived from the Roman emperors’ title of Caesar, which in turn is derived from the personal name of a branch of the gens (clan) Julia, to which Gaius Julius Caesar, the forebear of the first imperial family, belonged. Luk 2:1 And it came to pass in those days, that there went out a decree from Caesar Augustus, that all the world should be taxed. (Jesus the Christ was not born under Julius Caesar, but under Caesar Augustus). This article is about the first Roman Emperor. For other uses, see Augustus (disambiguation). “Octavius” and “Octavian” redirect here. For other uses, see Octavius (disambiguation) and Octavian (disambiguation). For other people with similar names, see Gaius Octavius or Gaius Julius Caesar. He was born Gaius Octavius into an old and wealthy equestrian branch of the plebeian Octavii family. His maternal great-uncleJulius Caesar was assassinated in 44 BC, and Octavian was named in Caesar’s will as his adopted son and heir. He, Mark Antony, andMarcus Lepidus formed the Second Triumvirate to defeat the assassins of Caesar. Admiral of the Fleet Louis Francis Albert Victor Nicholas Mountbatten, 1st Earl Mountbatten of BurmaKG GCB OM GCSI GCIE GCVO DSO PC FRS (born Prince Louis of Battenberg; 25 June 1900 – 27 August 1979) – known informally as Lord Mountbatten – was a British statesman and naval officer, an uncle of Prince Philip, Duke of Edinburgh, and second cousin once removed to Elizabeth II. During the Second World War, he wasSupreme Allied Commander South East Asia Command (1943–46). He was the last Viceroy of India (1947) and the first Governor-General of the independent Dominion of India (1947–48), from which the modern Republic of India was to emerge in 1950. From 1954 until 1959 he was First Sea Lord, a position that had been held by his father, Prince Louis of Battenberg, some forty years earlier. Thereafter he served as Chief of the Defence Staff until 1965, making him the longest serving professional head of the British Armed Forces to date. During this period Mountbatten also served as Chairman of the NATO Military Committee for a year. From the time of his birth until 1917, when he and several other relations of King George V dropped their German styles and titles, Lord Mountbatten was known as His Serene Highness Prince Louis of Battenberg. He was the youngest child and the second son of Prince Louis of Battenberg and his wife Princess Victoria of Hesse and by Rhine. His maternal grandparents were Louis IV, Grand Duke of Hesse, andPrincess Alice of the United Kingdom, who was a daughter of Queen Victoria and Prince Albert of Saxe-Coburg and Gotha. His paternal grandparents were Prince Alexander of Hesse and by Rhine (1823–1888) and Princess Julia of Battenberg. His paternal grandparents’ marriage was morganatic because his grandmother was not of royal lineage; as a result, he and his father were styled “Serene Highness” rather than “Grand Ducal Highness”, were not eligible to be titled Princes of Hesse and were given the less exalted Battenberg title. His siblings were Princess Andrew of Greece and Denmark (mother of Prince Philip, Duke of Edinburgh), Queen Louise of Sweden, and George Mountbatten, 2nd Marquess of Milford Haven. Basically the WINDSOR family comes from the German aristocratic house of SAXE-COBURG-GOTHA > deriving from the house of WETTIN. https://de.wikipedia.org/wiki/Stammliste_des_Hauses_Wettin (big family list). A German one. The mother of Prince Philipp was German and he grew up in Greece as a Greek orthodox. He had a very difficult childhood, his mother was most of the time in the psychiatric ward and believed something – I am not sure – to be the bride of Christ. Her later was educated in the British navy and married the later Elizabeth II. And converted to the Anglican faith. So Prince Charles is MORE GERMAN THAN BRITISH. The old English king’s family was the HOUSE OF STUART or STEWART. Princess Diana is an offspring from the house of Stuart. And it was very important to the WINDSOR family – who basically took over the English crown – to get in genealogical line with the house of STUART. So Williams who is educated becoming the next King – not Charles – has the “right genealogy in him too”. The House of Stuart is a European royal house. Founded byRobert II, the House of Stuart—also spelled Stewart in Scottish contexts—first became monarchs of the Kingdom of Scotland during the late 14th century before inheriting the kingdoms of England(including Wales) and Ireland in the 17th century. The dynasty’s patrilineal Breton ancestors had held the office of High Steward of Scotland since the 12th century, after arriving by way of Norman England. In 1707, Queen Anne became the first monarch of the newly merged Kingdom of Great Britain. The family also maintained the traditional English claims to the Kingdom of France. Today’s Spencers are direct descendants, albeit illegitimate, of the House of Stuart, with the family boasting at least five lines of direct descent from the Stuarts; and from them, the Spencers can trace their ancestry to other royal houses such as the Bourbons, the Medicis, the Wittelsbachs, the Hanovers, the Sforzas, the Habsburgs, and the Houses of Howard and Boleyn throughMary Boleyn, Mistress of Henry VIII of England. Lady Diana Spencer, daughter of the 8th Earl Spencer, married in 1981 HRH Prince Charles of the United Kingdom, Prince of Wales, and had issue. Her son HRH Prince William of the United Kingdom, Duke of Cambridge, married Catherine Middleton on 29 April 2011. The falsified Genealogy from the House of Windsor. The Stone of Scone, more commonly known as the Stone of Destiny or the Coronation Stone (though the former name sometimes refers to Lia Fáil) is a block of sandstone historically kept at the now-ruined abbey in Scone, near Perth. It is also known as Jacob’s Pillow Stone, Jacob’s Pillar Stone and as the Tanist Stone. Traditionally, it is supposed to be the stone which Jacob used as a pillow. It was originally supposed to have been used as the Coronation Stone of the early Dalriada Scots when they lived in Ireland. When they invaded Caledonia, it is said to have been taken with them for that use. Another theory states that the stone was actually the travelling altar used by St Columba in his missionary activities throughout what is now Scotland. Certainly, since the time of Kenneth Mac Alpin at around 847, Scottish kings were seated upon the stone during their coronation ceremony. At this time the stone was situated at Scone, a few miles north of Perth. ​Now all 195 countries have accepted new Climate Change Regulations which will be enforces worldwide. Hollande – a free mason -pu t MARTIAL LAW over Paris…. The President of the COP21 conference was the French Foreign Minister LAURENT FABIUS, without his cleverness also this conference would have failed.. A freemasons himself. From a Jewish Ashkenazi family, but raised Catholic. Overall goal: What is the overall target? Should nations try to limit global rises in temperature to 2C or 1.5C or by “well below 2C” – above what they were in pre-industrial times? The global average temperature has already risen by roughly 1C. This means maybe we still have a few years to breath. 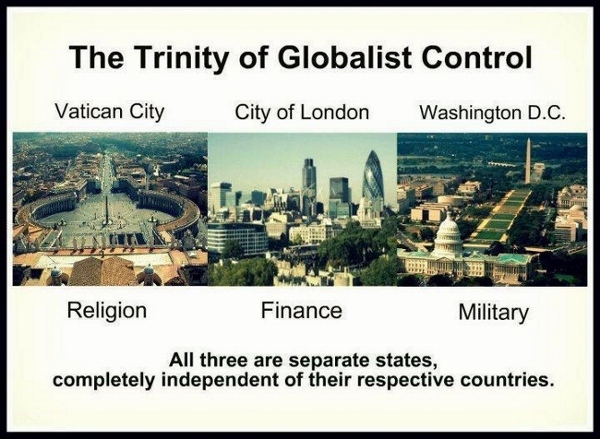 If you consider Daniel 9:27 to be a reference to the Antichrist – which I personally strongly believe – there will be a final 7 years tribulation period with the 2nd half of it the Antichristan global terror regime. Revelation 11, 12, and 13​ <(3 1/2 years is also mentioned at least twice in Prophet Daniel). Paris Nov 30, 2015 in front of 150 heads of state and delegations from about 195 countries – finally there were some 40.000 perople present. unfortunately, the pictures in the text are missing. So some readers my get “mixed up”. Sorry for that!!! 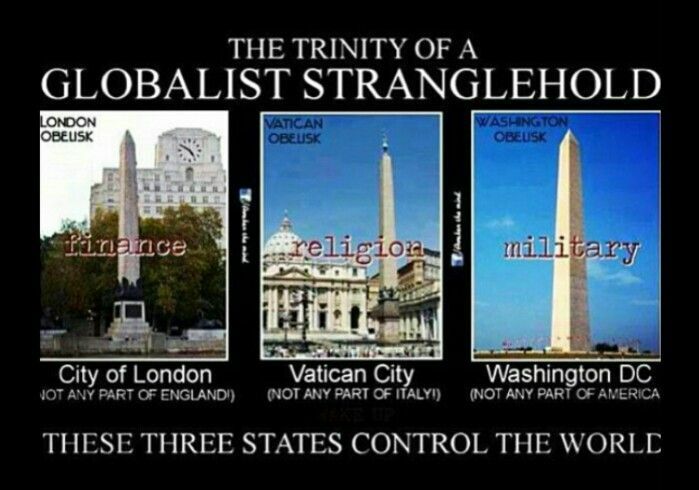 And I have really some idea what they plan for the global population and for us Christians specifically. So I try to give you very serious information – but I have understanding for you, if you hesitate to publish everything I am writing; because this may look to be to crazy to correspond to the truth…. I even now a guy here in Switzerland pretty well who was attending once a BILDERBERG conference because the one who should have participated could not go there. So he is even not on the list or the participants – nowhere. This guy, Josua A., is high up in Swiss military and he is the “Global Treasurer” of the UBS. The biggest Swiss bank. Josua A. is working in Zurich, the banks HQ, and in the “City of London Corporation” where the true money power of this globe is. The Lord Mayor, the City’s governor, is selected (elected ??) each year a new one. And he has to swear to be faithful to Queen Elizabeth II. 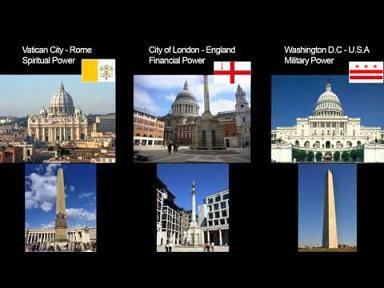 City of London Corporation, Vatican, Washington DC…. Please read an old report commissioned by the Pentagon when George W. Bush was first in office called “Abrupt Climate Change and The Implications On National Security.” Then look at the flow of the Gulf Stream based on the Naval Research Laboratory. Look at the flow of the Thermal Highline System (A.K.A Trans Atlantic/Pacific Systems. Look at all the Chaotic Weather that is happening our planet. It is why George Bush poo pooed Global Warming, and why they started the Seed Vault. The mass killings by ISIS is nothing compared to what can not be stopped. Look up Professor Richard Alley of Pennsylvania State university. He is one of the four scientists who spoke before Congress, one of the head Scientists on the Intergovernmental panel on climate change. He did the ice core samples in Greenland, and Antarctica. His research is the report on abrupt climate change is based on. You say that Judaism and Christianity is right. How is it that both are right when one of them rejects Jesus as the Messiah and the Son of God? How is it possible that both are right, Kristi Ann? They are polar opposites!! How do you get past this verse? “Whosoever denieth the Son, the same hath not the Father: (but) he that acknowledgeth the Son hath the Father also. So according to the Word of GOD, if you don’t have the Son, you don’t have the Father. Judaism does NOT have the Son, and I declare to you, by the authority of the WORD OF GOD, of which you claim as your own, that they have neither the Son or the Father. So HOW ARE THEY RIGHT, Kristi Ann? Do you care to challenge what the Word says? Sweet and bitter water can’t come from the same fountain, and you can’t mix hot and cold with getting LUKEWARM, and Jesus will SPEW YOU YOU OF HIS MOUTH. 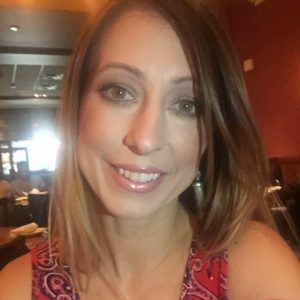 Kristi Ann, Does where you spend eternity matter enough to you to do 30 minutes of research? 30 minutes, Kristi Ann. Will it kill you to do it? NO! Will it kill you NOT to? Absolutely, SPIRITUAL death, which is worse than physical. I pray you choose wisely. I will only say this!! Am Yisrael Chai, HaShem-Yahweh-YHWH-JEHOVAH-EMMANUEL-HOSANNA-ELIJAH-EL SHADDAI, YESHUA-JESUS CHRIST ADONAI FOREVERMORE!! Amazing how Kristin can be so blind to so much evil. You are EXTREME LEFT-WING LIBERAL!! Our FOUNDING FATHERS were Christians, and relied on the HOLY BIBLE and the HOLY GHOST to lead our Judeo-Christian Nation United States of America!! George Washington said “You cannot Govern a nation without Our True GOD and the HOLY BIBLE.”!! Happy Hanukkah Chanukah Everyone!! Merry CHRISTmas Everyone!! Sound familiar? God says; DON”T DO IT!! You need to read about Saturnalia, and how a pagan ritual/HOLYday pulled JESUS into it. Dec. 25 is birthday of Tammuz, NOT Jesus!! “Sunday Dec. 6 was the first day of Hanukkah. It is the reason society has abandoned Christmas celebration of Jesus and the Gospel of Love and instead observes the meaningless “holidays”. “Lest anyone find all this Astronomy to reek of paganism, we remind him that in Genesis, it is recorded: ‘And God said: Let there be lights made in the firmament of heaven, to divide the day and the night, and let them be for signs, and for seasons, and for days and years: To shine in the firmament of heaven, and to give light upon the earth.’ Further, the Magi, those holy men from the East, who came to greet the Expectation of the Nations, were led thence by a star. Believe as you will, Mark. It was a Catholic who pulled Christ into this pagan holiday, so naturally, they will defend it. I will have to give account as to the things I do, as will you have to answer for what you do. COP21 PARIS CONSENSUS REACHED – based upon lies and deception!! A deal to attempt to limit the rise in global temperatures to less than 2​° ​C has been agreed at the climate change summit in Paris after two weeks of negotiations. The pact is the first to commit all countries to cut carbon emissions. Rev 16:15 Behold, I come as a thief. Blessed is he that watcheth, and keepeth his garments, lest he walk naked, and they see his shame. Rev 17:13 These have one mind​ (similar to what happend now here in Paris!!! But we are not yet there yet with the “ten kings”), and shall give their power and strength unto the beast. Jud 1:15 To execute judgment upon all, and to convince all that are ungodly among them of all their ungodly deeds which they have ungodly committed, and of all their hard speeches which ungodly sinners have spoken against him. Link to the agreement all countries have reached – it seems this is the final version. I hope, that I am right. Our family has roots back to 1256. Our forefathers were once small “Habsburg-Knights” in today’s SIWSS CANTON THURGAU. I am living not to far from there. The Habsburg – sometimes “Hapbsburg” – is situated between Zurich and Basle (where the criminal, international Bank for International Settlement situated is – http://www.bis.org. 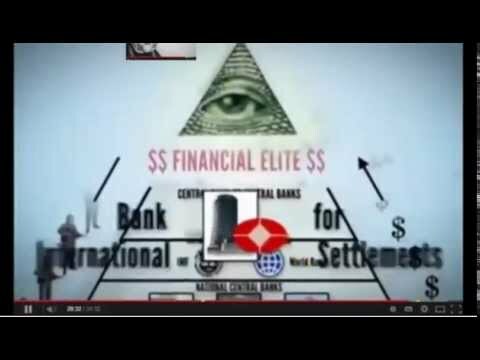 The BIS or BIZ, in German, is basically a Rothschild-Operation and is the “Central Bank of the Central Banks”. It is on PRIVATE ground. And Swiss laws are NOT valid THERE!!!!!! The word HABSBURG derivates from “HABICHTSBURG”. A HABICHT is a HAWK. It is situated in the municipality of Muri, Canton Aargau, Switzerland. In there is a Roman catholic monastery – and I even in there was told, that the hearts of the high ranking >Habsburg-Family members are there in “alcohol in the altar”…. The emperial family of HABSBURG – after the Swiss chased them out – became mainly the Emperors of Austria and Kings of Hungary. This was there main palace in Vienna (Capital of Austria). This is a study of relations between Britain and Austria as seen through personal and political connections between the families of Queen Victoria and Emperor Francis Joseph, from the year of revolutions in 1848 (when the latter ascended the throne as a youth of 18), to the post-Great War era and death of Francis Joseph’s great-nephew Emperor Charles. Though this relationship was never cemented by family ties (the Habsburgs were Catholics), both empires were on friendly terms throughout the 19th century, surviving such obstacles as Lord Palmerston’s unashamed support of anti-Austrian rebellion in Italy and Hungary, and Empress Elizabeth’s ill-timed hunting expeditions in Ireland during the Home Rule controversy. Queen Victoria was a first cousin of Princess Charlotte of the Belgians, destined to become the wife of Archduke Maximilian, Emperor of Mexico, and to spend most of her long life as a sadly deranged widow. The Prince of Wales was a close friend of the ill-fated Crown Prince Rudolf, but his friendship survived the latter’s tragic death at Mayerling in 1889 and lasted for most of the Prince’s reign as King Edward VII. PRINCE Charles is “very touched” after a rare rainforest frog was named after him in recognition of his conservation efforts. Mr Coloma said Charles had been “a very active campaigner to save tropical rainforests”. “The frogs live inside the forests and he has been using frogs as symbols for his campaign, so he’s like a leader in this fight,” he added. 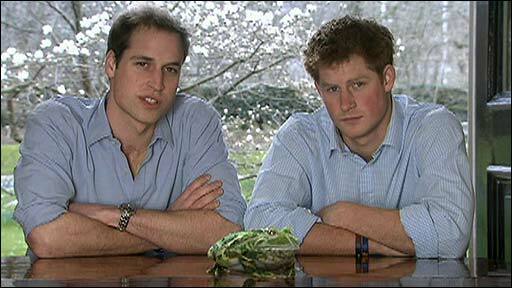 Even the Dalai-Lama – a best friend of Prince Charles – is seen here with the same Frog as was in Prince Charles. (Must view – many important people join Prince Charles Rainforest Protection Project and all together are seen with a frog – only 2.:23 min). 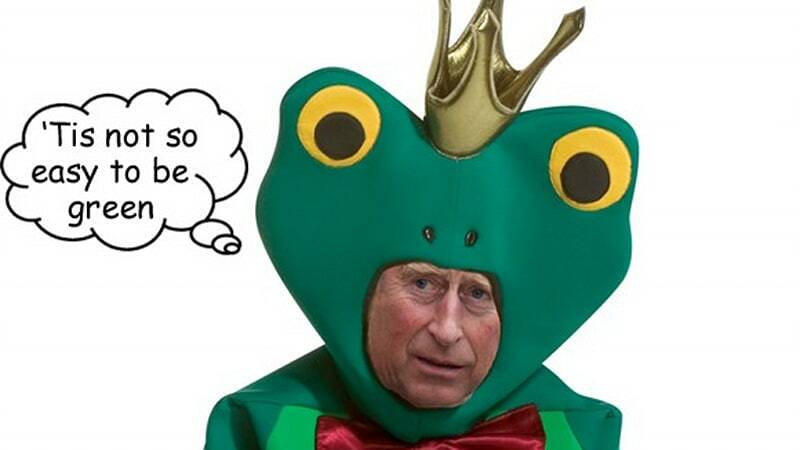 https://www.youtube.com/watch?v=dIvhsp_mPOY (Many people join the Prince of Wales with his “Rainforest Frog”) 8:10 min. In 2009, thousands of RainforestSOS supporters used the Prince’s Rainforests Project Frog Film uploader to create a message of support for the rainforests. Using their webcams, they recorded themselves delivering a short message of support, and placed the RainforestSOS frog somewhere in the film. 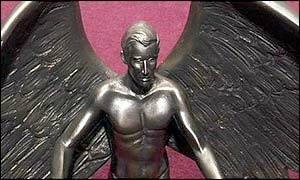 A giant bronze statue of Prince Charles as a winged hero “saving the world” is to become the centrepiece of a remote Amazonian town. The Prince was presented with a model of the sculpture, which shows him with bulging muscles, pinned back ears and only a loin cloth to protect his modesty. During his visit to Tocantins state in central Brazil the Prince was told the full size piece would be erected in a square named in his honour in the main town of Palmas. God willing – more to come. Even we know persecution – until death is coming – we shall be strong in faith and try to lead people to Jesus Christ – the only gate back to the Father in Heaven. LaRouche was during many years in the US a candidate for becoming president. And usually he is very well informed, he is now writing his very short intelligence review on COP21 CLIMATE CONFERENCE IN PARIS the following. Take careful not on what he really is writing. 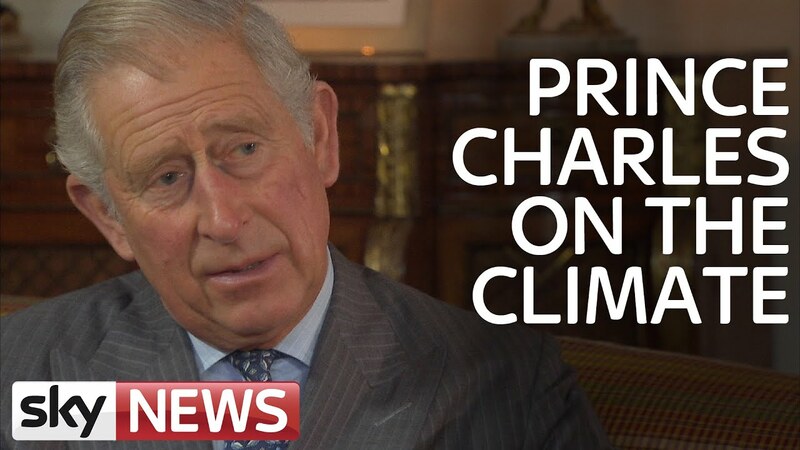 Climate Action, the newsletter of the United Nations’ Environment Program, which is a key agency running the COP21 agenda, announced on May 25 of this year, under the headline, “Prince Charles to Play Key Role at Paris Climate Conference,” that “Prince Charles has been invited to the crucial Paris climate conference in December by the French government and is set to play a key role in the negotiations (emphasis added). France’s Environment Minister (and Hollande’s former lover), Segolene Royal, personally travelled to England to invite Charles to speak at COP21. Charles has been a lead organizer for four decades, for his father’s and mother’s murderous policies. In 2011, Charles became the head of the UK branch of the Worldwide Fund for Nature (WWF), the primus inter pares of the WWF branches. Prior to the first Earth Summit in Rio de Jainero in 1992, Charles directed a planning meeting on the royal yacht Britannia of leading members of the Anglo-Dutch oligarchy and individuals such as then Senator Al Gore, which coordinated a North-South agenda for that meeting, that hyped the "climate change" agenda. coordinated the preparations for the UN Copenhagen Climate Conference (COP15)," which also heavily pushed decarbonization. That conference’s objectives were then blocked. Occult Symbol of the Phoenix in Charles’ back garden! How just ONE MAN – who now ingeniously heads a single, global CORPORATION – by secretly controlling a sophisticated gang of powerful, greedy, international banking pirates – through black magic, global warming and climate change subversion – linked to a global web of financial deceit, debt and blackmail – may soon gain the whole world. 5. Control of world food supply: Patents, hybridization & G.E.